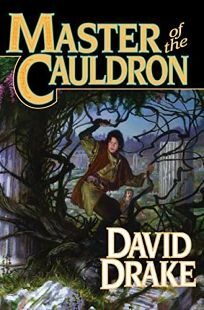 David Drake's padded sixth entry in his Lord of the Isles series, Master of the Cauldron, takes young Garric-or-Reise, an innkeeper's son now Regent of Haft, on a royal progress to solidify Haft's overlordship of Sandrakkan, a restless province Haft conquered a generation earlier. While predictable plotting, flattish characters, preteen dialogue and heavy-handed stock responses won't gain the author new fans, this middling fantasy will probably sell just as well as its predecessors. Agent, Kay McCauley at the Pimlico Agency. .